The Super Chick Bracelet is a fun-looking bracelet that is also enjoyable to make. The flowers may have centers of any color of crystal that you desire. 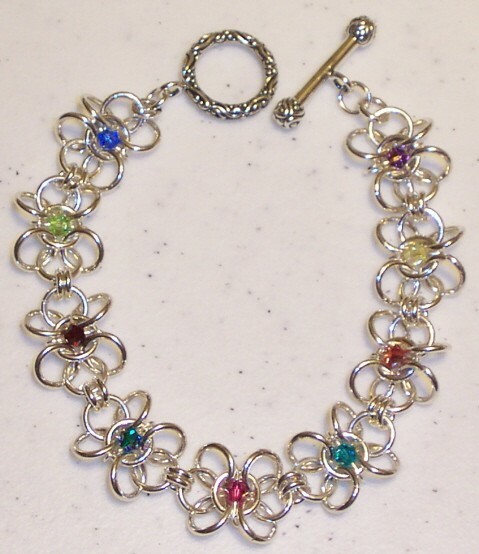 You will receive many requests to make this bracelet for your friends and family. There are some beading techniques used in this weave. This is a beginner weave. The clasp and crystals are not included in the kit.